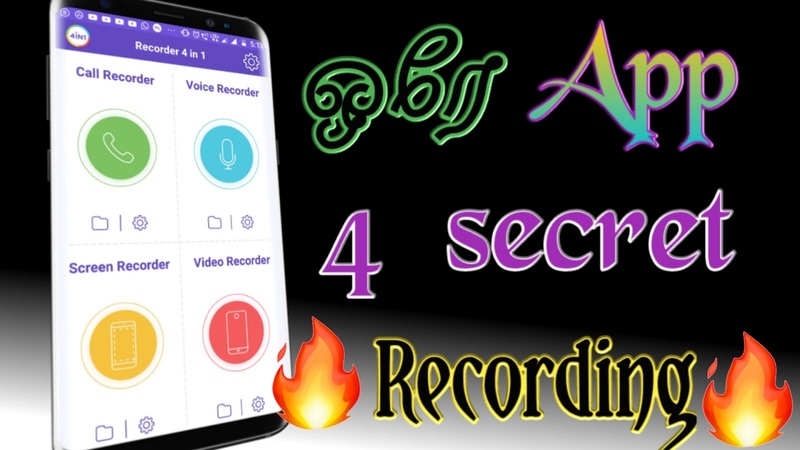 Unique Recorder with 4 amazing functions: Call Recorder, Voice Recorder, Video Recorder, Screen Recorder. Voice recorder – Sound recorder with extremely high quality. Video recorder - Records via front or back cameras with 3 types of qualities (high, mid or low). * Screen recorder –The screen recorder is extremely multi-functional. It can be activated with both (front and back) cameras, also available to record with or without sound. In addition, the recorder has "Show Touches " and "Timer" functions. Can be used as a hidden recorder, with the availability to plan working time. Your records can be saved and protected with password. Preference to Call recorder - Any time call records are prioritized, i.e. if any of other 3 (voice, video, screen) recorders are active and you are getting a call, it will automatically switch to call recorder. Storage - You can save your records on your mobile phone as well as on SD card. Vibration - Via vibration it’s giving signal that it’s switched on. Help - “Help” section will easily guide you to contact us. Buy - The app will work without ads if you buy the full package. Bubble – This is simply the same app on your screen with four functions ready to be activated with one touch making your actions easier. During calls, if you have forgotten to switch on “Call Recorder” you can do it on spot using “Bubble”. Via “Planning” (for all recorders), you can set time beforehand to start recording.